On Sunday, 17 April 2011, voters in Finland went to the polls in a parliamentary election which changed Finland's political landscape and cleared all doubts about the level of racism and xenophobia in the country. Opinion polls conducted before the election predicted that a nationalist, racist and xenophobic political party known as the True Finns (Perussuomalaiset) was gaining support. 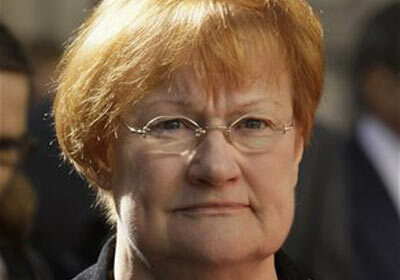 Election results confirmed the polls and propelled the xenophobic True Finns to third position in Finland's parliament. This party which had only one Member of Parliament when it was founded in 1995 has steadily gained more seats despite its hard-line stance and now has a record 39 out of 200 seats with 560,075 votes in 2011.[Source]. Less than 2 months after the 2011 parliamentary elections, the President of Finland acknowledged the rise of xenophobia and racism in the Nordic country. This is a kick in the groin of the good people of Finland and weakens the country's position in international human rights discourse in a time when democracies around the world, including Finland, are supporting calls for freedom and human rights in the Middle East and North Africa. Electoral gains enjoyed by the True Finns and outright racist and derogatory statements by the party's Parliamentarians over the past couple of months, concretize fears that Finland is going down the wrong road. Following the April 2011 parliamentary election, a video was posted on the internet in which a member of parliament for the True Finns, Teuvo Hakkarainen, made derogatory and racist comments on camera against African and Muslim immigrants. In the video, the parliamentarian mockingly mimicked a Muslim call for prayers and used a derogatory and offensive word to address immigrants of African descent. A free society should be void of lawmakers who use immigration scaremongering and disparage a group of people in a bid to score political points. The rise of racism and xenophobia in Finland is real. These vices are unacceptable and must be unequivocally condemned. A blogger in Finland who shines light on the plight of immigrants on the ground notes that the internet is Finland's breeding ground for racism. "True" Finns publish derogatory articles and make no secret of their prejudice online. Immigrants in Finland are a vulnerable group in need of protection. More votes for the nationalist anti-immigration True Finns signaled tough times for immigrants and tough times call for tough measures to ensure that immigrants and ethnic minorities are adequately protected in the European country. According to a BBC article, the True Finns believe, amongst other things, that "young women should study less and spend more time giving birth to pure Finnish children." "Pure Finnish Children". Yeah, you know who else believes in not race mixing and keeping the purity of their race? The white, inbred hicks of the United States. Unabashed Republicans with all of three teeth in their face. You keep on aspiring for that lofty goal, guys. In the mean time, try to overlook the fact that the people who will be looking after your dying parents will most likely be foreigners. Kiitos, hei!